Air quality in and around Bangkok this morning has slightly improved with only 11 spots being affected with excessive amount of PM2.5 dust particles beyond the 50-micron standard level, the Pollution Control Department reported. 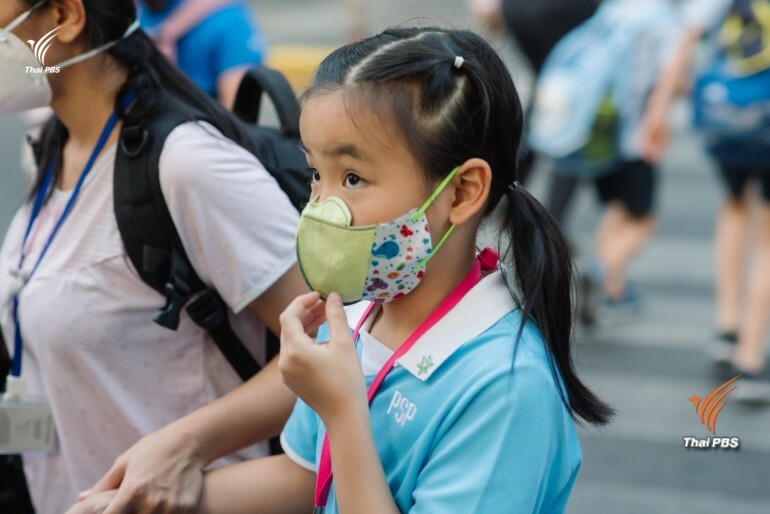 However, the department warned that the air quality might worsen slightly in the afternoon due to weaker wind velocity and poorer air circulation. Meanwhile, Private Education Promotion Commission secretary-general Chalum Atthatham said his office had been notified by two private schools – Ploen Pattana in Thavee Wattana district and Rung Aroon in Bang Khun Thian – that they had suspended classes for small children for three days since Wednesday due to concern for the health of the children from the ongoing air pollution problem. Basic Education Commission deputy secretary-general Sanit Yamkaset said that directors of schools under the jurisdiction of the commission could suspend classes for up to a week if they deem the measure is necessary for the health of their students. Director of Rung Aroon school Mrs Suneesa Chuencharoensook said that it was impossible for children to wear face masks all the time while at school. Also, she pointed out that to confine students in classrooms and forbid them to engage in outdoor activities would be too stressful for them. Suspending classes is a more feasible alternative, she said. Natural Resources and Environment Minister Surasak Kanchanarat said the ministry had adopted a three-stage measure to deal with the PM2.5 particulate problem. 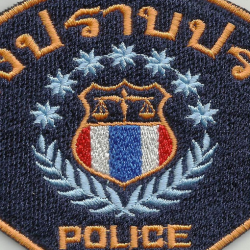 He said that the dust situation in and around Bangkok was classified in first and second stages and appropriate measures had already been implemented to deal with the situation. But if the amount of dust particles has increased over 90 microns or the problem escalates to the third stage for three successive days, the Bangkok governor or the governors of Bangkok’s neighbouring provinces were empowered to declare the affected areas as “controlled areas of nuisance” and could put an end to all activities which cause air pollution. But if the amount of dust particles remains at over 90 microns for a longer period of time or entering the 4th stage, the National Environment Commission will recommend the prime minister to invoke Section 9 of the environment law to order all state agencies and enterprises to stop all activities contributing to generating dust particles. 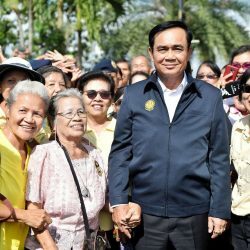 Prayut and Palang Pracharat: Who’s impeding whom?